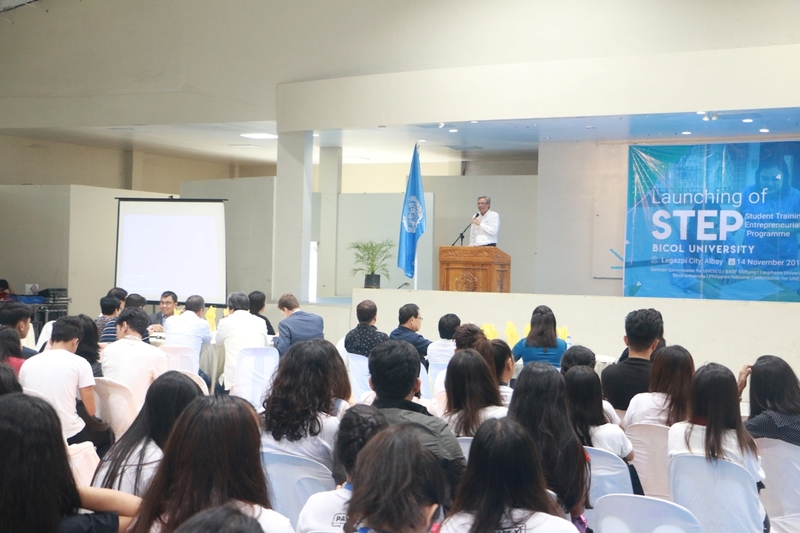 Reinforcing the students’ readiness for the job market, the United Nations Educational, Scientific and Cultural Organization’s (UNESCO) National Commission of the Philippines and the Commission on Higher Education (CHED) launched their Student Training for Entrepreneurial Promotion (STEP) program in Bicol University this November 14, as the university was chosen as the pioneering implementing institution for the said program. The launching of the STEP program was done through a brief ceremony held at the gymnasium of BU’s East Campus in Legazpi City. The gathering was attended by visitors from CHED Regional Office V, UNESCO, and the Technical Education and Skills Development Authority (TESDA), along with BU’s key officials, faculty members, and students. As described by UNESCO, the STEP program is an action oriented entrepreneurship training which typically addresses university students and graduates of all faculties. It is a program that has been implemented in universities of nine countries in Africa, Asia and Latin America, in most cases coordinated by their UNESCO National Commissions. More than three thousand students have been trained so far. 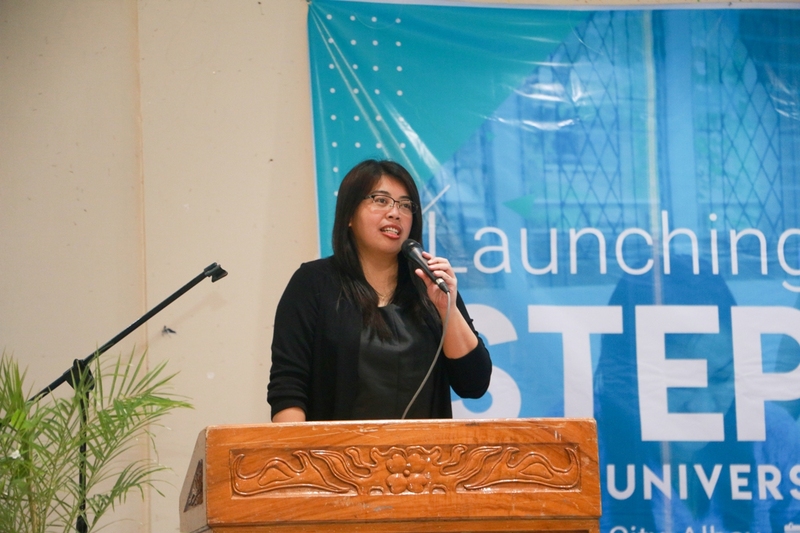 With the success of the STEP program overseas, the Philippine National Commission for UNESCO has reached out to interested parties for the implementation of STEP in the Philippines, and it was a call that was answered by Bicol University. 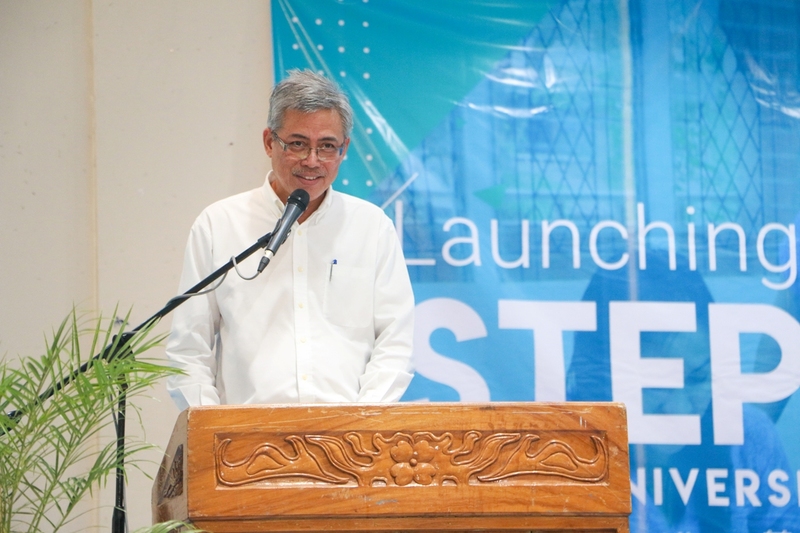 The STEP launching program began with BU President Dr. Arnulfo Mascariñas welcoming the participants and guests in his speech. He also expressed his gratitude to the visitors, in behalf of the host university, for choosing BU as the implementer of the STEP program. Dr. Mascariñas’ talk was followed by a message from Ms. Lindsay Barrientos, the Deputy Executive Director of the Philippine National Commission for UNESCO. 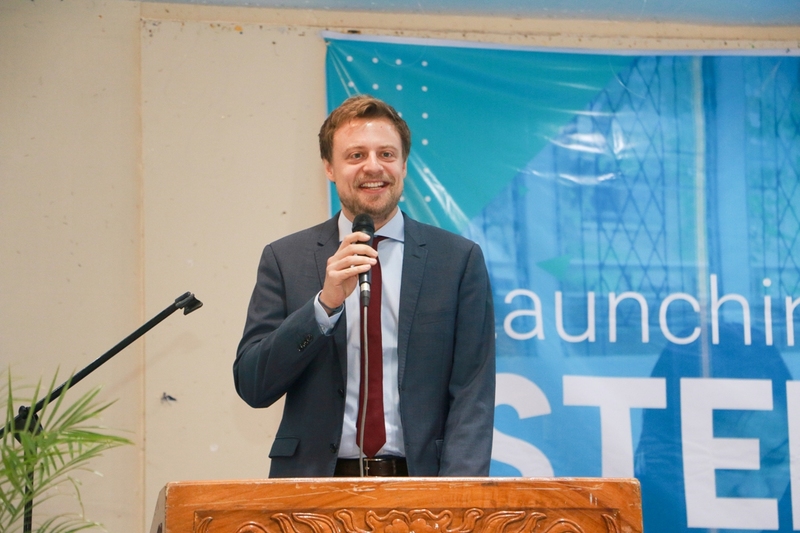 The event’s esteemed guest Mr. Florian Schmitt, Programme Specialist of the German National Commission for UNESCO gave an introduction of the STEP program. CHED-5 Education Supervisor Dr. Manny Mendoza was also present and gave a brief message in behalf of CHED-5 Regional Director Dr. George Colorado. Ms. Michelle Santos, Business Affairs Manager from BASF Stiftung (Germany), was also in attendance and delivered her message. 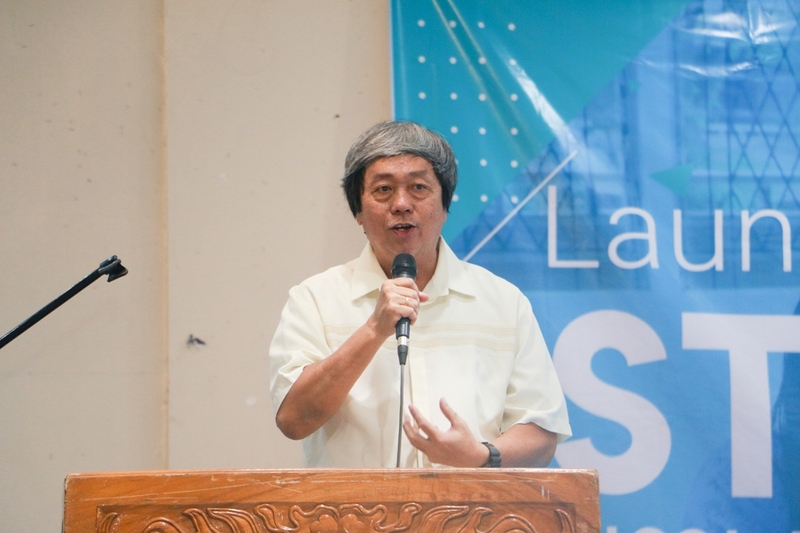 For clarity on how the STEP program will be implemented in the university, BU College of Business Economics and Management (CBEM) Dean Dr. Eddie See gave an explanation on the STEP implementation, followed by a video presentation about STEP-Philippines. The program aims to impart entrepreneurial skills and knowledge that are responsive to the rapidly changing economic and market conditions, that involves an intensive and action-oriented training for 200 students and faculty members. The trainers will be composed of faculty members and experts from the University of Luneburg (Germany). 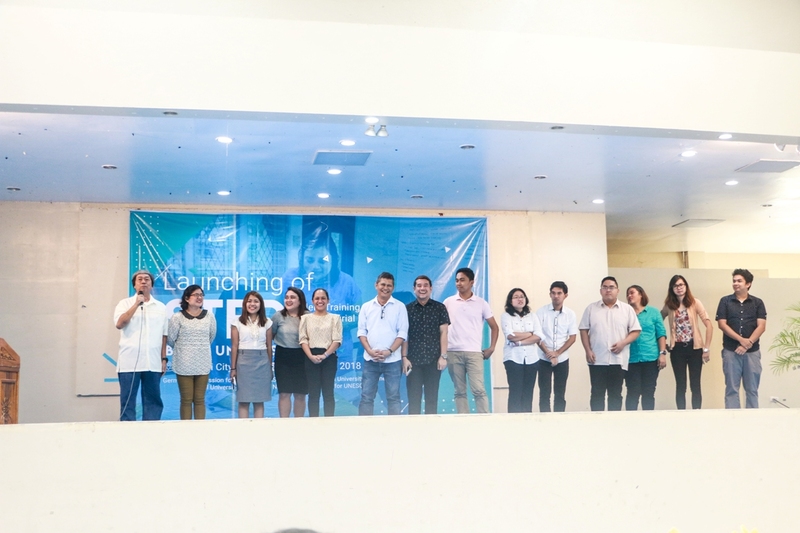 Anchored on local and international contexts, the STEP will be a unique platform for educators from BU to weave their knowledge and practices for the further enhance enhancement of the entrepreneurship program. The goal of the implementation is to be able to provide concrete measures to help address youth unemployment as a result of the existing job-mismatch and other employment problems in the country.